It never seems to fail – if it’s going to happen, on the coldest night of the year, the oil furnace in your Albany, NY home will stop working. It’s Murphy’s Law. But if you’re faced with an oil furnace emergency, you should know that Family Danz Heating & Cooling can help. Our company has been providing oil furnace repair in the Albany, NY area for more than three decades, and we’re dedicated professionals in the field of oil furnace repair. We make sure our technicians are factory certified and trained to fully evaluate your oil furnace repair needs. 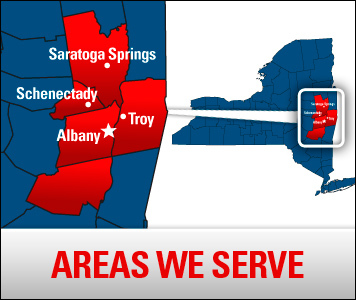 They’ll find the best solution for your Albany, NY home’s comfort and energy efficiency needs, and will arrive on time armed with the knowledge to address all of your questions and concerns. Our technicians have access to the best diagnostic equipment, instruments and tools available, so they’re able to resolve any problems you might be having with your oil furnace more quickly and more efficiently – and that saves you time and money. Plus, Family Danz repairs all makes and models of oil furnaces, and we’re pleased to provide prompt service to our customers, especially those in the most need without heat. We’re available 24 hours a day including weekends and holidays, because we know emergencies can happen at the most inconvenient times. Family Danz is pleased to provide oil furnace repair and much more to Albany, NY residents. If you need fast, efficient oil furnace repair in your Albany, NY home, Family Danz Heating & Cooling is ready to help. Call us at (518) 427-8685and we’ll be happy to assist you.